FINALLY! 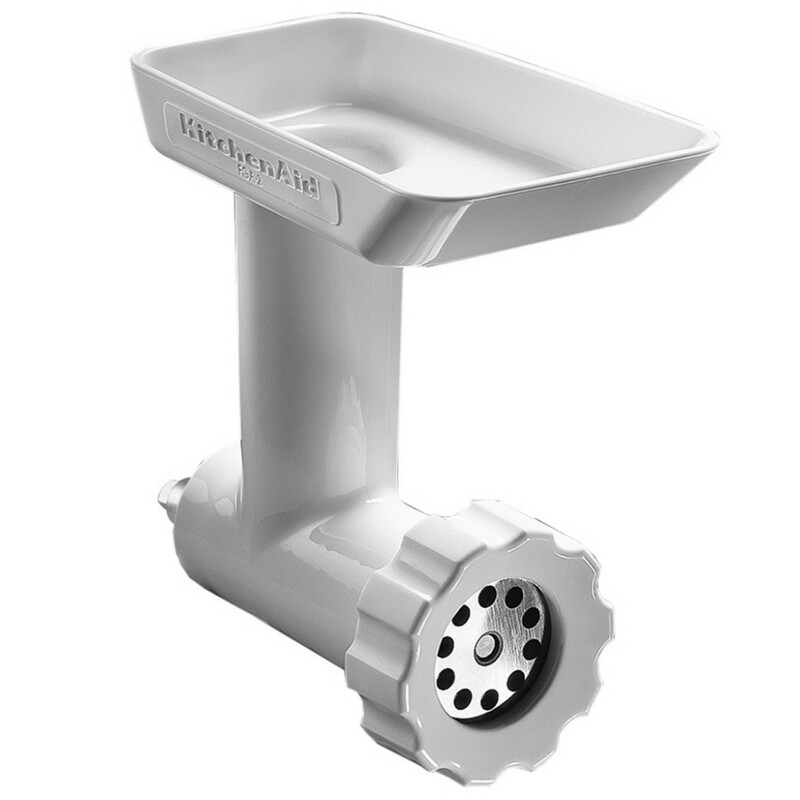 An All-Stainless Steel Meat Grinder Attachment for Kitchenaid! 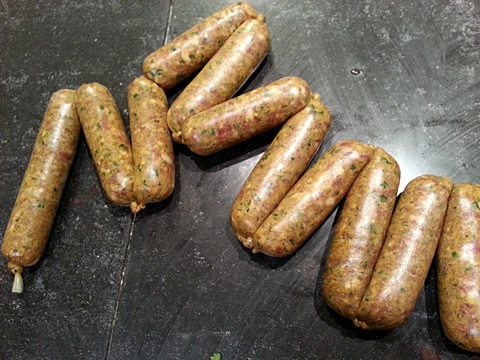 (Smokehouse Chef) | Have YOU Ben Starr Struck? 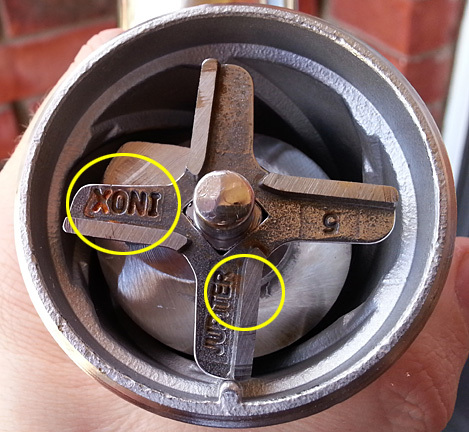 This entry was posted in Blog and tagged Alton Brown, Artisan, attachments, best, best meat grinder, blade, Cabelas, casing, Chef's Choice, Cook's Illustrated, dish washer, dishwasher, dishwasher safe, food grinder, grinder, hopper, housing, Kitchen Aid, KitchenAid, making, meat grinder, mixer, overview, product review, rating, review, rust, safe, sausage, Smokehouse Chef, stainless, stainless steel, stand mixer. Bookmark the permalink. 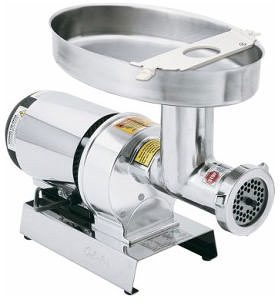 On the Smoke House Chef website there is also a grinder made by HK. Says it is a culinary school version. Any experience with this model? It appears to be all SS, dishwasher safe, etc. But looks like the tray might be smaller. Just curious if there are other differences or any pros / cons. 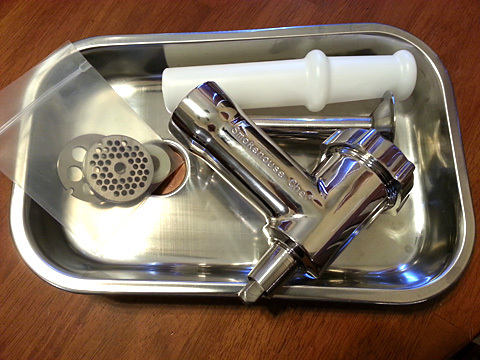 The HK version does have a smaller loading pan and it is also fastened to the grinder housing. It is stainless steel but retains the original cast finish. The performance is the same as the original version – but with less moving parts and the maintenance free finish it is a nice fit for a classroom environment with multiple users and frequent washing. Does anyone know if this will grind chicken bones? 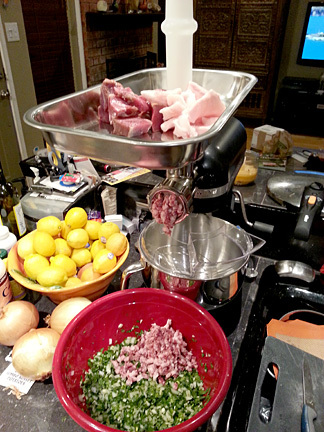 I make raw food for my dogs, use mostly chicken quarters, and already have a 600w Kitchenaid mixer. Edward, I’ve never ground bones in mine. I’d imagine the spine and ribs would be fine, but the leg and thigh, maybe not? Will this grind through chicken/turkey bones? Interested in using it for grinding for dog food. 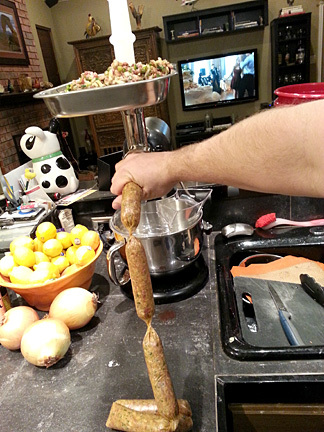 I would really like to purchase a new meat grinder. My partner and i read your article and I benefited. 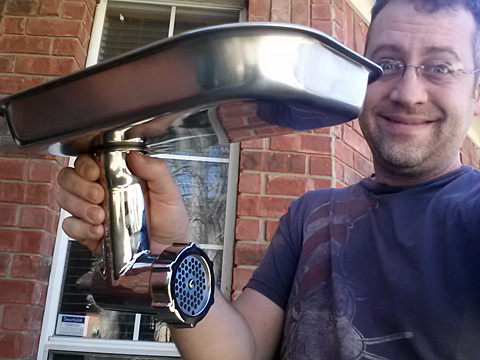 I obtained an idea to buy a finest meat grinder. Thank you. My wife and I are excited about getting one of these stainless grinders as we were completely disgusted with the plastic grinder attachment offered by KitchAid. 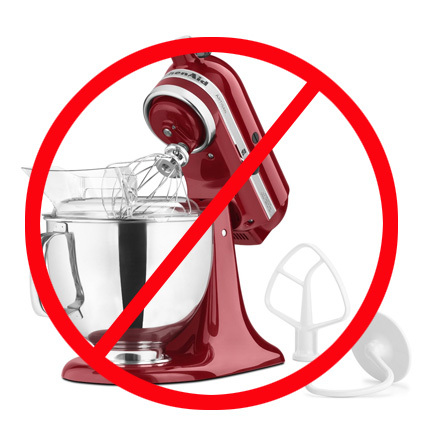 We just didn’t bother to buy anything until we found one that fit our desired specifications as we knew we would be disappointed and frustrated with something inferior. With regard to the blade, we’re going to treat it like a cast iron pan by curing it with oil and heat in the oven to hopefully help alleviate the possibility of it rusting. 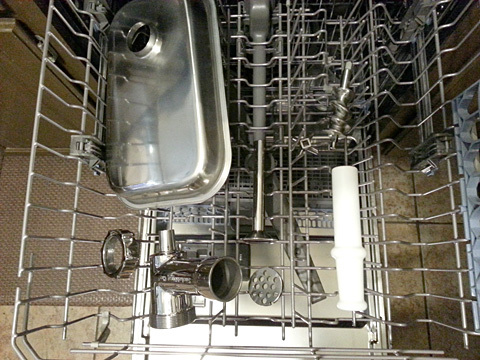 We don’t use a dishwasher, so we’ll simply wash it in ‘hot’, soapy water with a brush, rinse, 10-min bleach, rinse well, air dry, oil and heat in an already hot oven the next time we roast or bake something (we’re frugal so we like to multi-purpose as much as possible). As we’ll only be using it maybe once every month, at the most, it should be safe from bacterial contamination and also last us a long time. Thank you for your very helpful review. Applying heat to any blade will weaken the temper in the metal. It will cause the blade to dull quicker. The temps needed for carbonizing oil or fat on to iron is hot enough to cause this. I would treat the blade like any carbon steel knife. Dry well, let air dry after to be sure, then a thin lay er of mineral oil to be safe. You can also force a patina on carbon steel using highly acidic stuff for example, smearing mustard or mayo over blade and letting it sit for a while. The patina should add some protection from rust. If the blade is stainless steel itself, but rusting I would contact the manufacturer, you may have just got one with a defect.